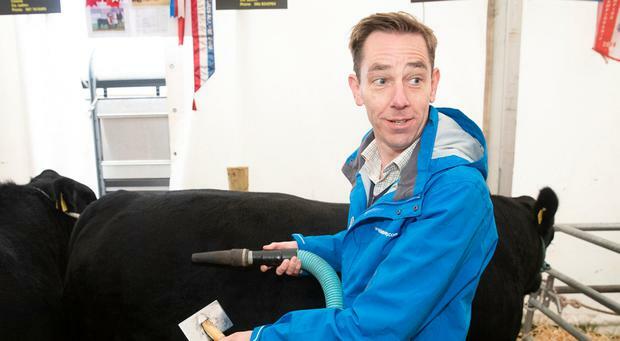 Ryan Tubridy pictured vacuuming a Aberdeen Angus Bull on the first day of The National Ploughing Championships 2018. Picture: Kinlan Photography. 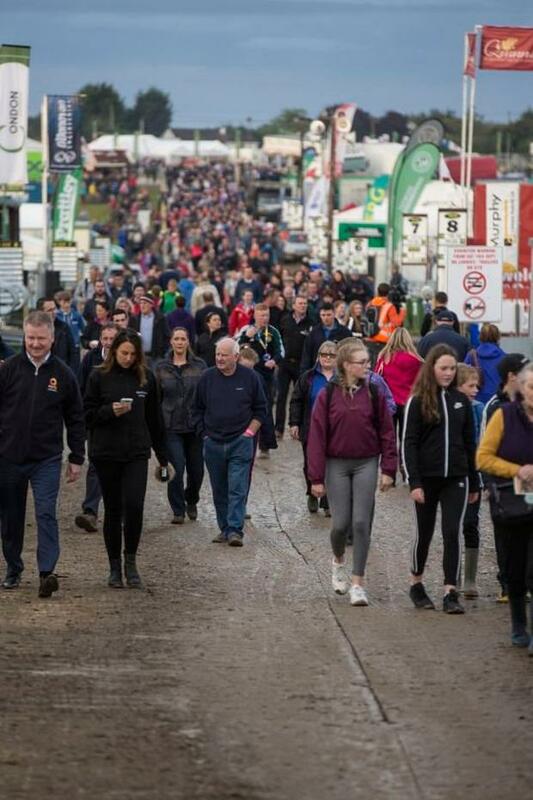 Thousands of people are expected to descend on Tullamore today to attend Europe's largest outdoor event, the National Ploughing Championships. Some 300,000 people expected to attend the event which is in its 87th year over the course of the week. Live from the Irish Independent tent (Block 2, Row 10), we're bringing you all the latest from the first day of the Ploughing. Tickets for the ploughing championships can be purchased upon arrival. Adult tickets cost €20 each while senior citizens/students cost €15. Children under 12 go free when accompanied by an adult. The main exhibition area at the championships will be open from 9am-6pm each day while the ploughing competitions run from 10.30am-2.30pm. There will be three fashion shows running at 11.30am, 1.30pm and 3.30pm each day of the festival. Highlights over the three days will include sheep shearing, live tractor build, sheep dog trials, loy digging, the meggars competition and the national brown bread baking event. There will also be a junior baking event and funfair for children. Forecasters are warning that wellies will be a necessity for all revellers. Presently, the Ploughing site is cold and drizzly with heavy rainy hitting large parts of the country overnight. Met Éireann meteorologist Gerry Murphy told the Irish Independent that around 7-8mm of rain will have hit the midlands area where the championship takes place, making it particularly wet on foot as people begin to descend on the 730-acre site. Later today, another 4mm is expected to hit in the afternoon, not giving much chance for it to dry up over the course of the day. "There's rain overnight and it will make for wet ground from the word go," Mr Murphy said. "The showers in the afternoon won't give the ground much chance to dry up. Having said that, it'll be breezy tomorrow so there'll be reasonable drying between the time of the overnight rain and the showers in the afternoon. "People should certainly bring their wellies," he added. A status yellow wind warning has been issued by Met Éireann for tomorrow, which is countrywide. Another 4-5mm of rain will come in tomorrow morning too. While heavy winds should help with drying up the land, heavy rain again on Thursday will make for a particularly wet day for those attending. "The most significant rainfall for the three days will be Thursday," Mr Murphy added. If you take the train Tullamore Train Station is 10 minutes from the site and a shuttle bus will drop you at the entrance gate. Shuttle Bus fees; €5 Children return ticket (under 16); €9 Adult return ticket; €20 Family return ticket (2 adults & max. 3 children). Cork/Munster (BLUE ROUTE): Traffic travelling Northbound on the M8 will exit at Junction 6 (Horse & Jockey) and proceed to Thurles and onto Templemore and Roscrea on the N62. At Birr traffic will join the N52 travelling northbound via Kilcormac and Blueball and onto the event site at Screggan, Tullamore. South East (GREY ROUTE): Traffic travelling from Kilkenny/South East will travel North along the N77 via Durrow and Abbeyleix before arriving at Portlaoise. Traffic will be directed left at Father Brown Road through Clonminham and onto the N80 travelling towards Mountmellick. At Derryclooney Bridge, Mountmellick traffic will be directed left and onto the R422 through Rosenallis and Clonaslee. At Coolagh Cross traffic will be directed right onto the R421 (Killurin Road). At Killurin Cross traffic will be directed left towards the event site at Screggan, Tullamore and parking beside the event site. South East (YELLOW ROUTE): Traffic travelling from Carlow and the South East will travel on the N80 towards Portlaoise. At Bloomfield Roundabout, Portlaoise traffic will be directed right onto Rathbrennan and onto Junction 16(M7). Traffic will then turn left to the Heath and left again at the Wheel Inn pub (sign-postedPortarlington). Traffic will proceed to Kennells Cross and be turned left and travel towards Mountmellick town. All traffic will be directed through Mountmellick town and onto Tullamore viaKilleigh. Traffic will then proceed to parking beside the event grounds. Limerick, Kerry and Southwest (BROWN ROUTE) :Traffic travelling Northbound on the M7 will exit at Junction 26 (Nenagh South) and will proceed on the N52 towards Borrisokane. In Borrisokane traffic will take the N62 (Signposted Portumna) and after 5km traffic will turn right onto the R438 to Cloghan. In Cloghan traffic will turn onto the R357 before being directed to parking beside the event grounds. North (PINK ROUTE): Traffic travelling from the North will travel via Mullingar and onto the N52 towards Tyrellspass. Traffic will be turned right into Tyrellspass Village and on to Kilbeggan Village via R446 (old N6). Once through Kilbeggan Village turn left for Clara onto the R436. On the approach to Clara traffic will turn left onto the L2009 before joining the R420 Tullamore to Clara Road. Traffic will then turn right at Coolnahiley and be directed to parking beside the event grounds. West (GREEN ROUTE): Traffic travelling from the West will exit M6 motorway at Junction 6 (Horseleap, Clara) and will be directed towards Moate town. Traffic will then be directed left onto the Ballycumber Road. At Ballycumber traffic will join the R436 (Ballycumber to Clara Road) before turning right on towards Rahan Village. At Rahan Village traffic will be directed onto the L2011 towards the event site and parking. Kildare/ Junction 15 M7 (ORANGE ROUTE): Traffic travelling Westbound along the M7 Motorway will exit at Junction 15 (Cappakeel), turning right over the Motorway and onto the R445 (Old Dublin Road). At New Inn Roundabout traffic will proceed through Emo Village and onto Kennells Cross where it will turn right and be directed to Garryhinch Cross and onto Cloneygowan Village. Traffic will then follow the R420 to the event site. All Buses on Brown / Blue route will continue past the entrance to the Blue Routes and continue 400m and park across from the event site. All Buses travelling on the Purple / Pink routes will continue on to the N52 (Mucklagh By-Pass) and park across from the event site. All Buses travelling on the Orange, Yellow and Grey Routes will travel to Mountmellick where they will proceed to Tullamore via the N.80. They will then be directed to Bus Parking on the N52 (Mucklagh ByPass) across from the event site. Taxis dropping off patrons will be facilitated as close to the car parks as is possible once there is no interference with the flow of traffic. There is no designated Taxi pick up area in or around the event site. The full Garda traffic plan and map can be accessed here. IT Sligo Mechanical Engineering students have invented a new product for farmers that will save money, time and make life a whole lot easier and safer. The 'Universal Rear End Loader' enables farmers to carry and move large heavy objects such as round bails, using any tractor. Up until now, farmers have had to use front loading devices which required expensive model specific loaders. On top of that expense, front loaders also need adapters that cost thousands extra. This meant loaders were financially out of reach for small or part-time farmers. This new invention can be seen at the National Ploughing Championships Innovation Arena. On Tuesday, President Michael D Higgins will attend the National Ploughing Championship at 11.00 am. Cappagh Bone Clinic – Get help and advice from the experts at Cappagh Hospital on keeping your bones strong and avoiding osteoporosis and other bone conditions. Free Hearing Tests - This year’s Ploughing Championships will see Hidden Hearing offer free hearing tests to people over the age of 50, highlighting the importance of good hearing, and its significance for farm safety. 10.15am ‘Drive to Remember’ final tractor drive to the WR Shaw stand. 11.30am ‘Walk of Light’ with Brian Rohan & Willie John Kehoe from NPA HQ to the Opening Ceremony of National Ploughing Championships at the main band stand. 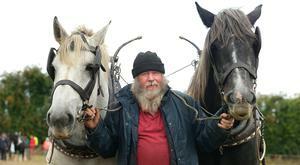 11.45am The Embrace FARM candle will be lit prior to the opening ceremony of the National Ploughing Championship. Brand at the forefront of the Irish Poitín revival hopes to convert new customers as part of the Irish Food & Beverage section of the festival. You can find Mad March Hare at Stand 618 in the Dome where they will be serving refreshing Mad March Hare cocktails as well as bottles for purchase. Bubble Show Join Scientific Sue on a very slimy scientific journey of discovery and find out about the amazing science and engineering which is linked to the magical world of bubbles. Your beautiful biased brain - Psychologist James Soper presents this fast-paced, interactive show that will literally turn your world upside down. Sisters Áine Lecky and Eibhlin Murphy directors of Major Equipment Intl Ltd were winners of last years Anna May McHugh Leadership award at the National Ploughing Championships and since then have been concentrating their efforts on reaching world markets. This year they will have new product launches and show case what women are achieving in the otherwise male dominated machinery sector. You can find the sisters at the Irish Rail stand. Of the 730 acres of land in Tullamore, some 150 of this will be used as a dedicated display area. Some 13,500 panels have been laid out along a significant 34km as a walkway for visitors. 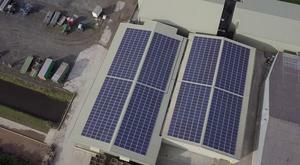 Meanwhile, 5,000km of cable and 10 generators will be used to supply electricity to the event. Some 200 volunteers were involved with putting the site together while 1,700 volunteers from organisations including GAA clubs and agri-businesses will be deployed throughout the three days. Also set up will be 60 catering companies and three pubs will be serving food and drink to guests throughout the event. It is expected that around 80,000 cups of tea will be consumed between today and the event's conclusion on Thursday. Organisers say 14 acres of potatoes have also been grown to supply the event, which will also see a massive 24,000 litres of milk and 19,000 eggs consumed. Around five tonnes of cheese and 16 tonnes of Irish beef will be sold at the Ploughing Championships.